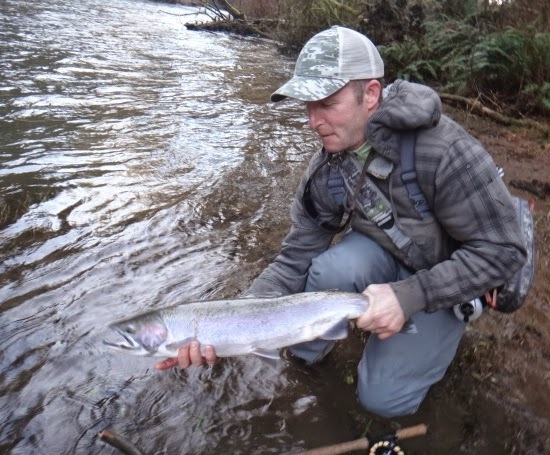 Well this season we have good runs of winter steelhead in many of the coastal and inland PDX area rivers, and I have also heard that runs are looking good on rivers like the Siuslaw and Umpqua systems as well. The challenge I have had this season is lining up the river levels on my days off. So far I have only fished swollen high water and skinny clear low water, but I have not been out on a day where the conditions were "spot on" to my liking. Yet when you have a day to fish, you should go fishing because you can't catch steelhead sitting on the couch speculating when you should go. Brian Morris with a colored up buck that fought rather well before yielding to his hand for a quick pic. Swollen water and fading into steelhead green; just the conditions I like! 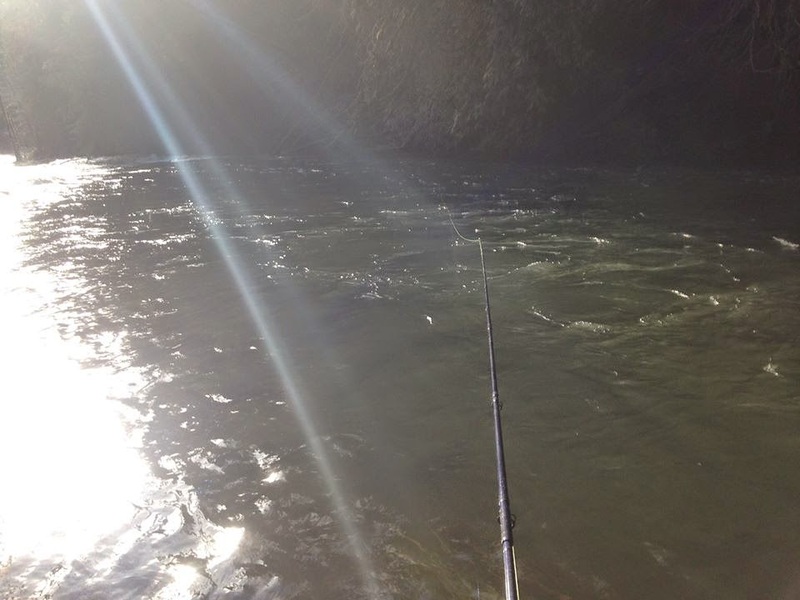 This tailout didn't produce a fish on this day, but it has pumped out winter steelhead in the past. Admiring the rod on the moss while having a sandwich break. One of the fish that I caught on my last outing. Luckily a guy passing asked me if I wanted a pic while I was landing it.